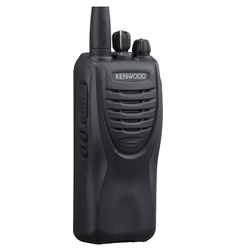 Prominent & Leading Wholesale Trader from Vadodara, we offer kenwood digital walkie talkies, kenwood walkie talkie, kenwood walkie talkies and kenwood pkt 03 walkie talkie. 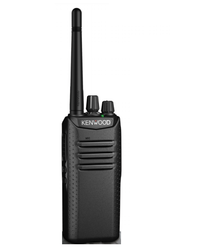 KENWOOD’s TK-2000/3000 is supremely easy to handle and to operate. 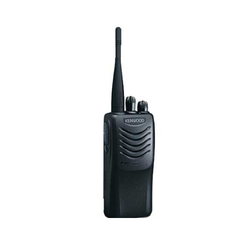 Yet this handy compact radio is extremely reliable, meeting the famously tough MIL-STD 810 C/D/E/F and G specifications. With its well-balanced performance, it makes perfect business sense – especially for inventory control and service industry operations. Thinner and lighter – the TK-2000/3000 is ideal for hooking on a belt or even slipping into a coat pocket. The slim design fits neatly in your hand and it weighs only 203g with the Li-Ion battery.